So strawberries… what are we going to do with all these strawberries? 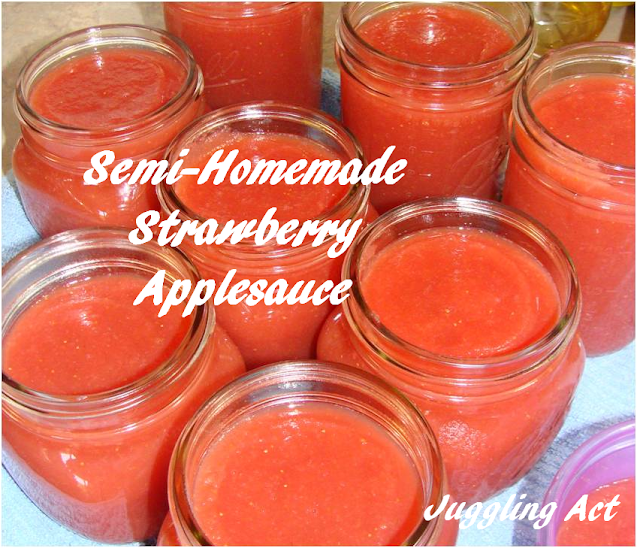 My sister suggested making some Strawberry Applesauce for the kiddos… she’s so smart! I did some research and came up with this great semi-homemade recipe from Red Kitchen Project that was super easy to make, and that my kiddos are gobbling up super fast! Remove the green tops and then using a food processor or blender puree the strawberries. 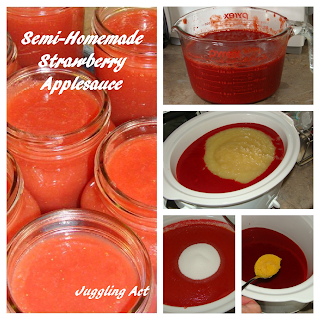 Into a large crockpot (mine is 4qts), dump the strawberry puree and add in the frozen orange juice concentrate. Unlike the jam (ahem) your measurements don’t need to be exact here, which is nice when you’ve got little ones distracting you! To the crockpot, add the 2 jars of applesauce – now here’s the thing, you could make the applesauce from scratch, but 1. apples are not in season right now, and 2. that’s a ton of work! 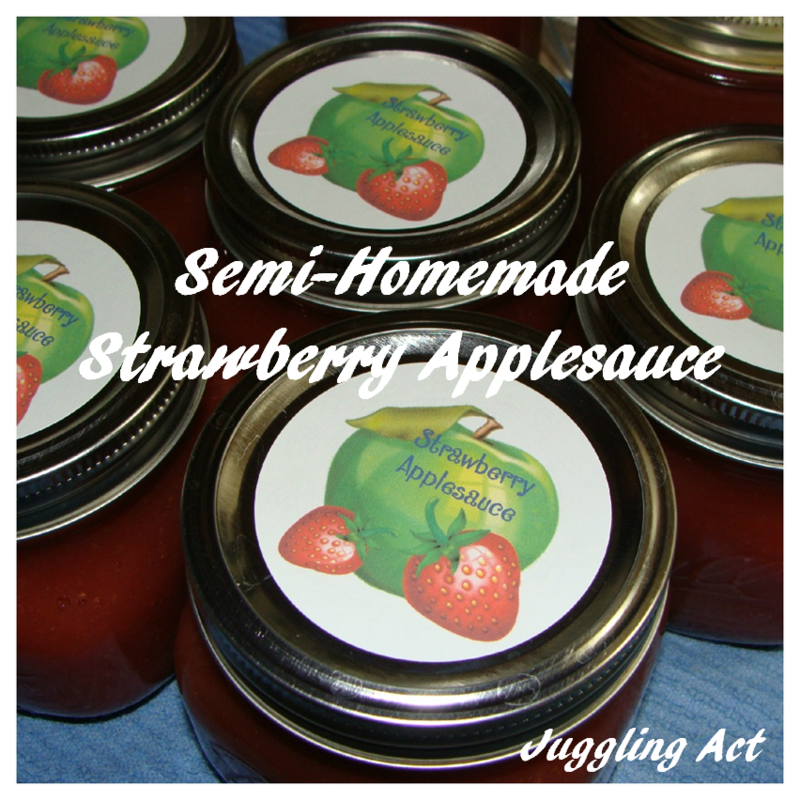 I’m not above taking a few shortcuts, especially since this method is actually a bit cheaper and way less time-consuming than buying apples and preparing the applesauce from scratch. Hee-hee! Lastly, stir in the sugar and gently mix everything together. Cook on high for 5 hours (if your crockpot cooks high, like mine, reduce to low once you see the mixture start cooking onto the side of the crockpot. Sanitize your jars – you’ll need about 6-7 pints for one batch. Canner pot to a boil (this is what I use). Everything needs to be hot for this to be successful, so carefully ladle the hot sauce into the jars and quickly screw on the lids. Use a jar lifter to carefully lower the jars one at a time into the hot water. (The water should be at least 2 inches above the jars). Bring the water back to a boil, then process for 20 minutes. Once canned, this can be stored for up to 12 months. 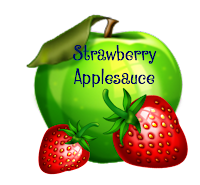 I’m super excited about adding this to my pantry stockpile, and being able to gift them, too!And just because I love sharing, here’s a download for my Strawberry Applesauce labels!! I love these round Avery labels, number 5294, and they’re perfect for the tops of canning jars!